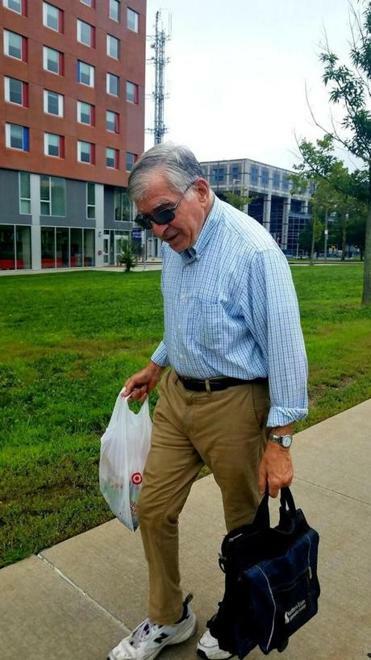 Not asking for any credit, the former governor picks up litter on the way to work. In the distance, I saw a lonely figure in a blue-collared shirt and khaki pants bent over, reaching toward the ground. As I approached, I could make out the familiar side part of the man’s well-cropped silver mane, and the trusty plastic bag he was holding in his right hand. At that moment, on a path near Northeastern University, it became clear that this was not someone in distress but The Duke — the former three-term governor of Massachusetts who was also the 1988 Democratic nominee for president — doing what he has done for decades: cleaning up after others, looking after his city, without anyone looking. 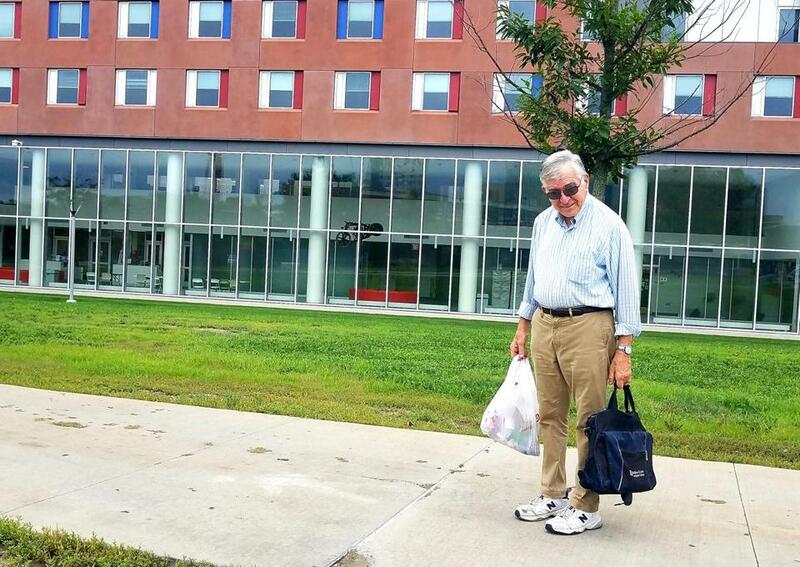 As he walked to his job teaching at Northeastern from his home in Brookline, Michael Dukakis was filling his bag with trash that other, less-civic-minded residents left behind. Not seeking credit, just trying to help. At 84, the Duke is still walking the walk, just as I had chronicled 15 years before in this piece for the Globe.